A 21-year-old South Side man is being held on $750,000 bond this morning, accused of robbing a woman at gunpoint in Lincoln Park Thursday morning. Jonathan A. Ben, of the 7800 block of S. Euclid, is charged with one count of armed robbery and one count of unlawful use of a weapon by a felon. Witnesses and the 25-year-old victim reported that a man in a ski mask, black hoodie, and dark pants pulled out a blue steel revolver and took the woman’s pink purse at Wrightwood and Clark. 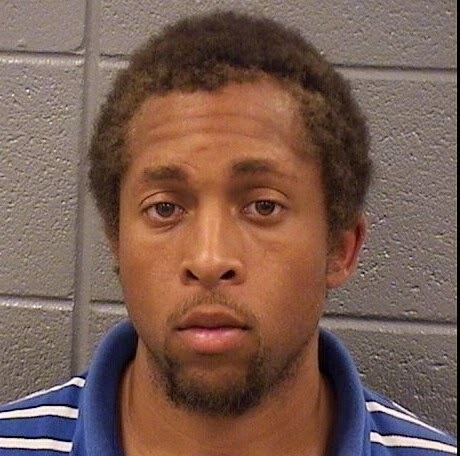 Cops tracked the victim’s iPhone and found Ben on a southbound Ashland bus at Fullerton. When confronted, police say, Ben told them “I have a gun in my waistband." It turned out to be a blue steel 5-shot revolver according to court records. Officers say they found the victim’s Macbook and iPhone in Ben’s possession as well as a hoodie and facemask. Ben has two prior convictions as an adult in Cook County. He served two days for shoplifting from the Walmart Neighborhood Market near Broadway and Diversey in July and he served one year for unlawful use of a loaded firearm on the South Side in 2012. 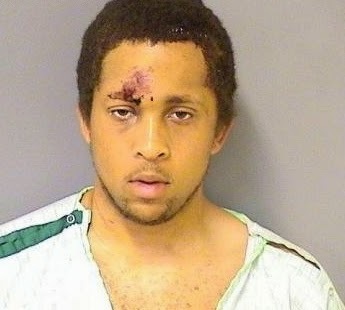 His 2012 mugshot is intriguing.